What goes in my food bin? What type of plastic liners can be used? Bags that food has come in, such as: bread bags, salad bags, cereal bags etc. What type of plastic liners CANNOT be used? 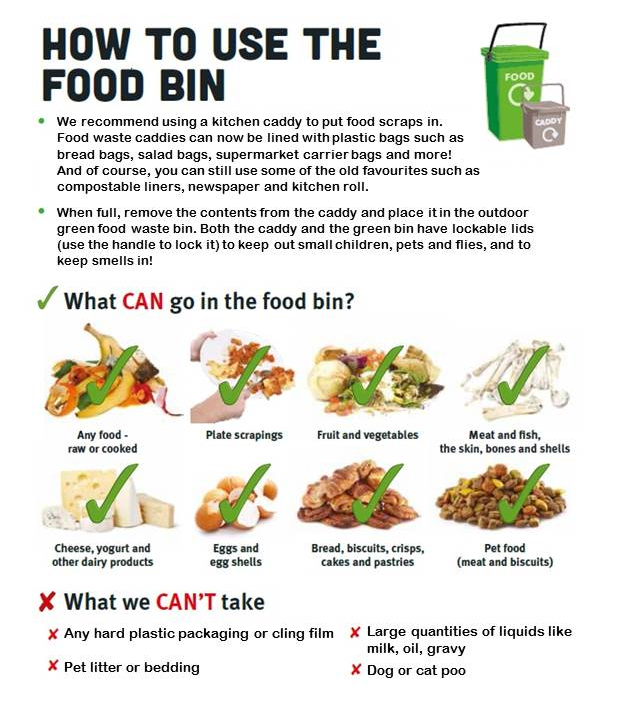 No black bin liners or rubble sacks - if your collection crew can't see the contents, they will not be able to collect the food waste. No hard plastic packaging such as for punnets of fruit. 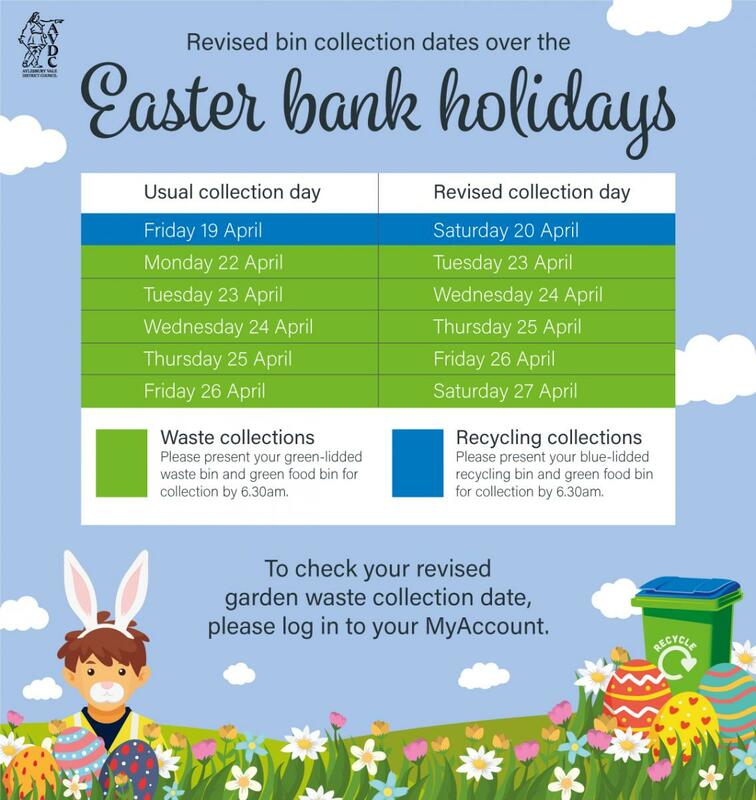 However, these can be put in your blue-lidded recycling bin. Where does my food waste go? Ever wondered what happens to your food waste after it's been collected? You can fnd out how it's recycled here. For more information; please refer to our customer FAQs. What goes in my recycling bin? What goes in my waste bin?